Here’s a list of resources and slides of all invited talks, tutorials and workshops at Neural Information Processing Systems (NIPS) 2017 conference. A tool to describe the content of videos and suggest similar scenes in other videos/films. Extract Keywords from sentence or Replace keywords in sentences, based on the FlashText algorithm. 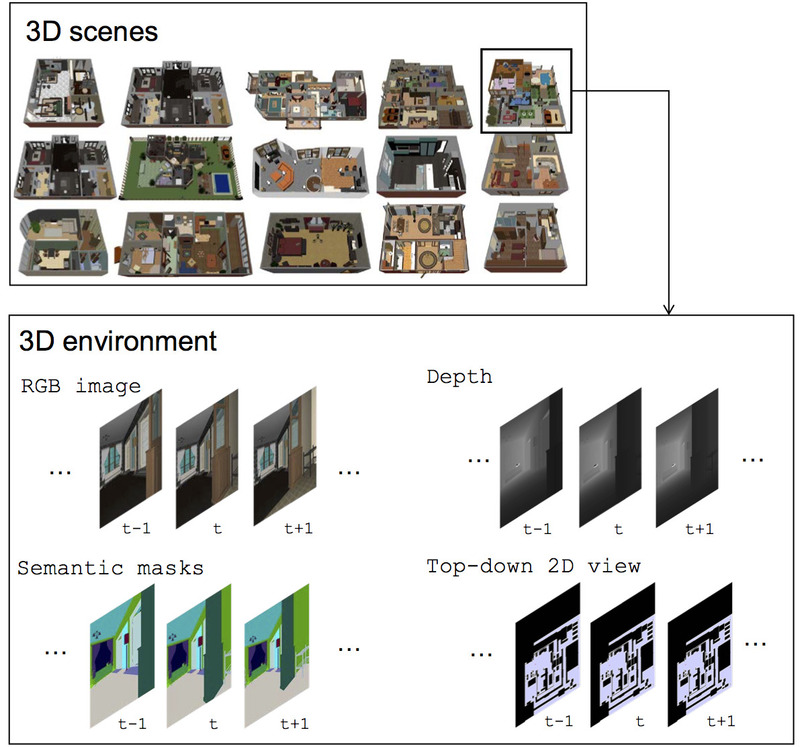 A Realistic and Rich 3D environment which consists of thousands of indoor scenes equipped with a diverse set of scene types, layouts and objects sourced from the SUNCG dataset. A research platform for many-agent reinforcement learning. Unlike previous research platforms that focus on reinforcement learning research with a single agent or only few agents, MAgent aims at supporting reinforcement learning research that scales up from hundreds to millions of agents.